More from February at Knoxville Wildlife Area Napa County. It was late afternoon as I descended from the summit of Peak 1600 and clouds were gathering. 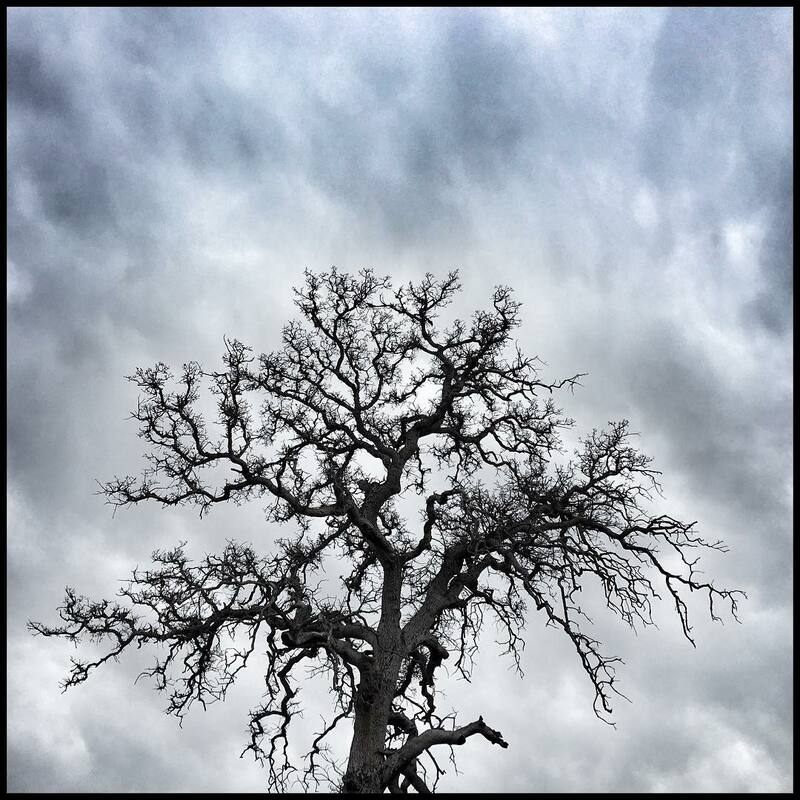 This stark leafless oak set against the sky warned of rain. The first drops fell as I reached the car.